In 1939, Raymond Zillmer and Lorin Tiefenthaler ventured into the Canoe River basin to fill voids and correct mistakes in the early maps of this rugged part of the Cariboo Mountains of British Columbia. The high-mountain sources of the Canoe River had been viewed from afar, but not yet explored in any detail. A peak – which Zillmer and Tiefenthaler referred to as ‘Half Dome’ – and a glacier now bear Zillmer’s name. 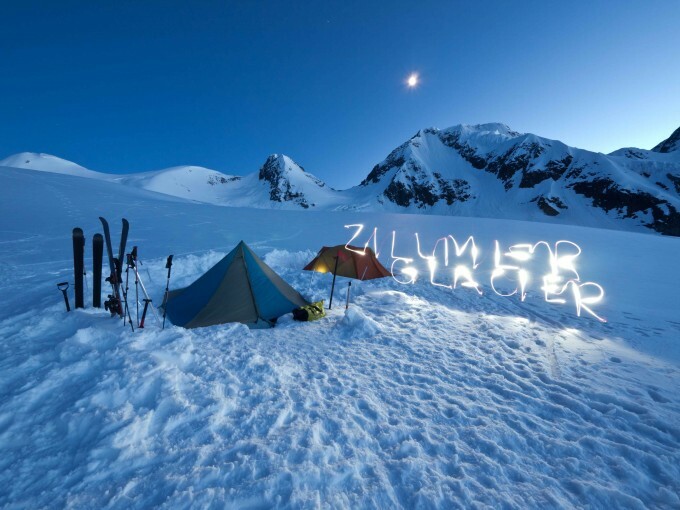 Our May 2013 base camp on Zillmer Glacier. Chamberlin Peak is in the background. Photo by Matt Beedle. In May of this year, a small group from University of Northern British Columbia returned to this stunning corner of the Cariboo Mountains to begin monitoring Zillmer Glacier. The purpose of this field research – funded by the Columbia Basin Trust – is to establish ongoing studies at a site that represents the glaciers of the northernmost portion of the Columbia River basin. We plan to return to Zillmer Glacier in the next few days and complete measurements of the 2013 melt season. Please stay tuned to GlacierChange.org for a full report upon our return. Until then, enjoy these clips from our work in May. 2013 Field Research Teaser: Zillmer Glacier, BC from GlacierChange.org on Vimeo. © Copyright 2011 Matthew J. Beedle, unless otherwise noted.